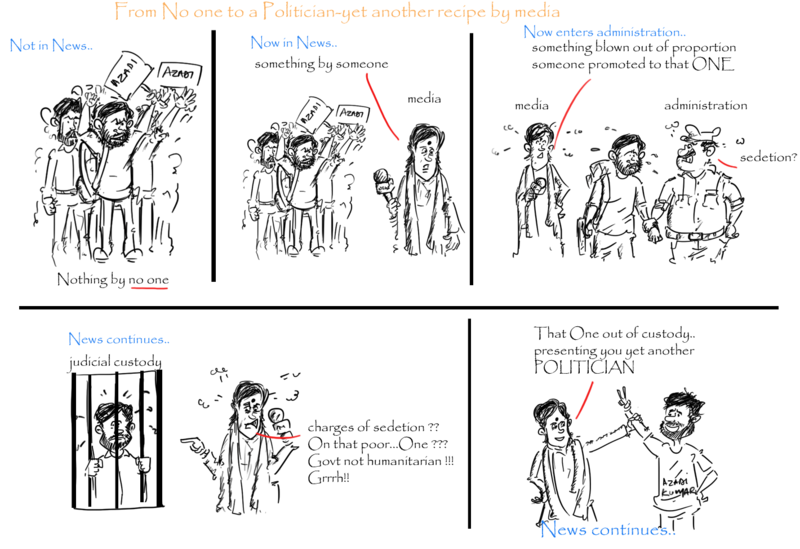 Deplorable state of affairs with the fourth estate encouraging such unscrupulous elements..loved your caricature…wish in reality I could mock them so well!!! well the issues still affect india though a lot has been done to eradicate such things…but why should we be in solidarity with afzal guru…?? he should have been publicly hanged in kashmir for kashmiris to learn a very big lesson.